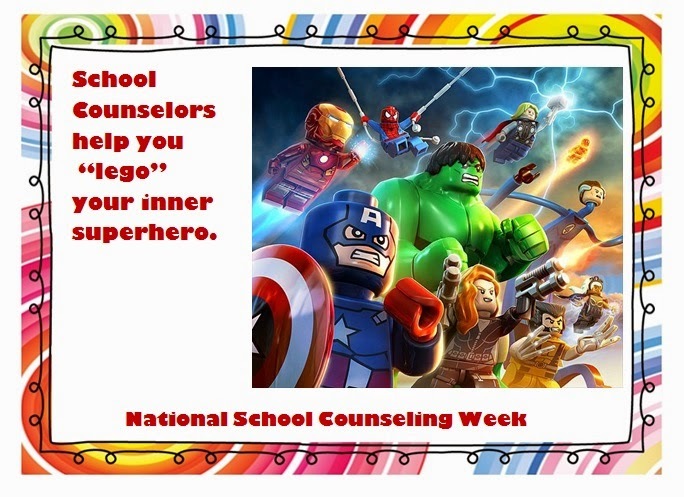 Here's today's NSCW15 message for the teachers. 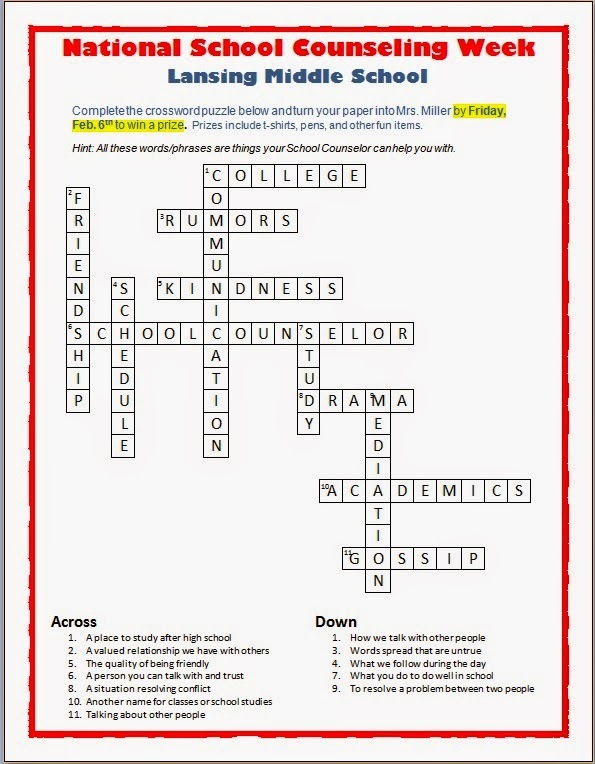 Lastly, for today, I handed out a NSCW crossword puzzle challenge. I have collected enough pens, pencils, and college goodies, that I have prizes for every student who turns in a completed puzzle. 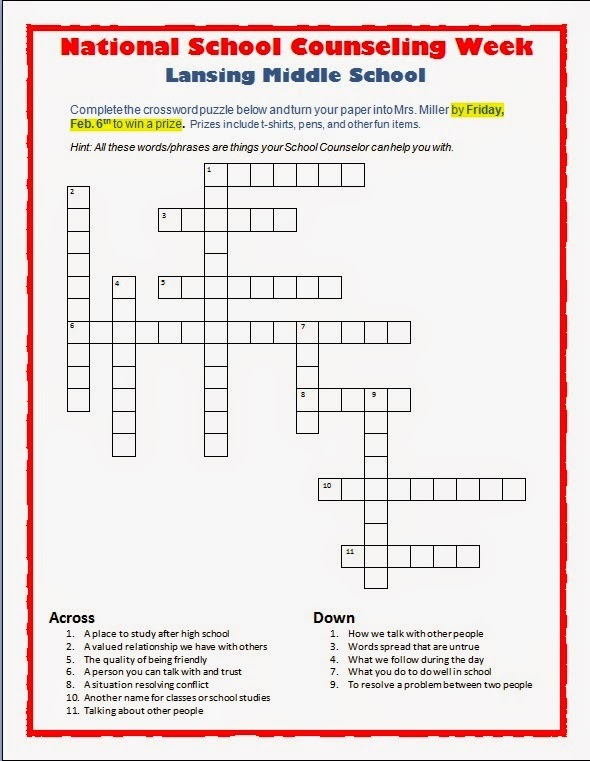 You can download this puzzle from my TpT store (it's free!). Just click on this link. 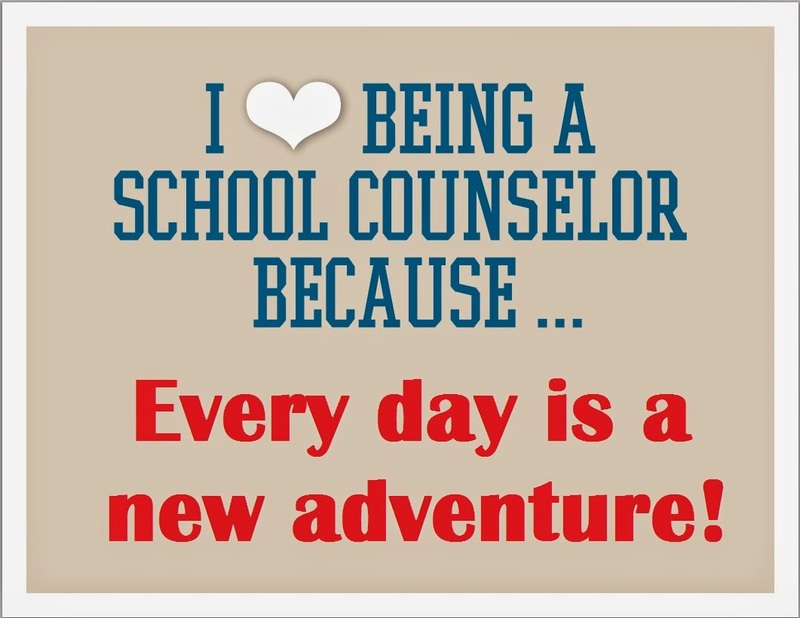 I'm also giving away a freebie from my TpT store today on The Middle School Counselor Facebook page. Make sure to check it out! Stay tuned tomorrow for my Thursday Message!